Hey lovelies! Last year, I was approached by Bloomsbury Australia asking if I wanted to be a Throne of Glass Ambassador since I loved Throne of Glass sooooo much. I was legit flailing and squealing and jumping and screaming YESYESYES OF COURSE!!! Today, I'm honoured to share with you a fantastic competition for Heir of Fire, which is released later this year in September. Now, I know many, MANY of you are dying to get your claws on a copy of Heir of Fire and even better, I'm sure y'all want a SIGNED copies of one of the most phenomenal series to ever exist! OH! And there's more! Not only will you win incredibly exciting prizes, you'll also have your name featured in Sarah's next book that's being published in 2015. HOW FREAKING AWESOME IS THAT? The Competition will close 4 June. 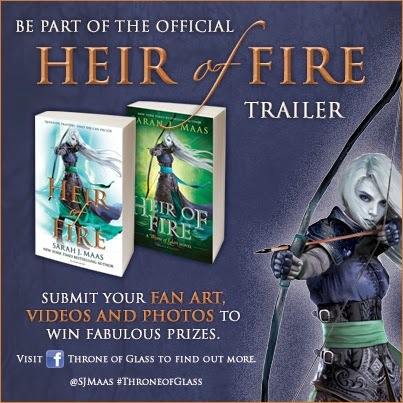 Also, in the past few days certain Heir of Fire extracts and videos have been released! You can read an Heir of Fire EXTRACT HERE. Click HERE for a video of Sarah J Maas talking about Throne of Glass! You can find more information on their Facebook Page. Wow! Thanks so much for sharing this Shiirleyy! You're so sweet! Ngawwww <3 Thanks for stopping by Zoe! OMGOMGOMG *hyperventilates* I REALLY want a signed copy omg! But I've actually preordered my copy AGES ago hehe. I may give this comp a go, but it's going to be very time consuming. :( Will you be entering?! OMGOMGOMG YES I DO TOO!!!!! What an incredible opportunity, and an ambassador? Nice job, I had no idea. I've seen so many incredible reviews for the series, it's really one of those that readers seem to fall madly in love with. I'm really looking forward to seeing the fan art actually. 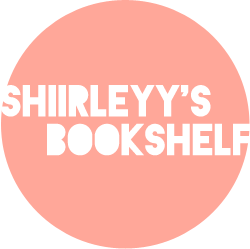 Good luck to all the creative geniuses and thanks for sharing Shirley. hahah YES, it definitely is an incredible opportunity!! !